What a bizarre, exciting experience today. Those regular readers will have read that my day job is rather detached from the (perceived) serenity of birding. I'm in charge of behaviour in an inner city London school. So there I was mid-morning, sitting in the internal exclusion room on a timetabled period of supervision where if kick offs happen around the place, then the perpetrators come my way. Fortunately there hadn't been any referrals so I was getting on with the typically copious workload. And with the window open, there was a moment of madness, a really bizarre sensation. 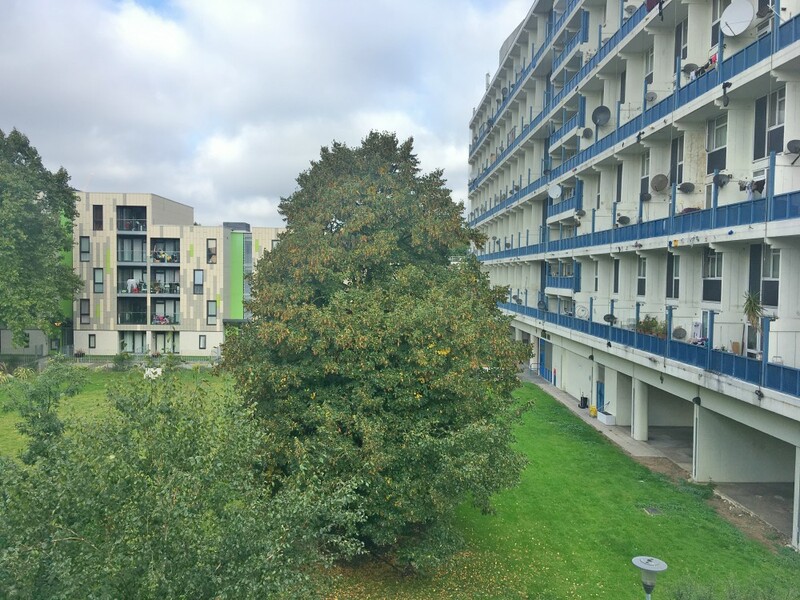 It was crystal clear, and surrounded by high rise buildings there was real crispness and clarity when I heard an unbelievably out of context upslurred, high pitched disyllabic 'tswee-eet' that is such a familiar sound in autumn these days. But hang on... I'm in Central London, it's not the coast and this is work. It continued to call several times in quick succession. 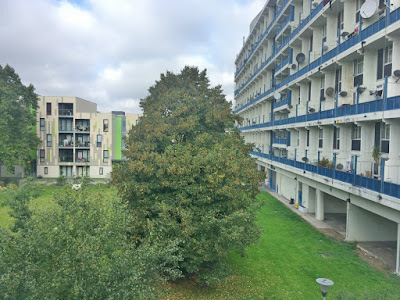 Not quite sure why I bothered, as it was obvious that there was a Yellow-browed Warbler in the isolated single tall tree outside of school here in Elephant and Castle, but I quickly whacked a bit of xeno canto out. And in true form, the bird sallied down and revealed itself as a smallish green warbler to my naked eye. Always scornful of no bins sightings when assessing other peoples' records, I legged it outside to my car and got my bins and back up to where the action had been. A bit of xeno canto later, and with the bird still calling, I got some decent views of a nice fresh looking Yellow-browed Warbler whacking about and doing its thing. Quality stuff - and with it now being 10.30am it was off to break duty, teaching and then meetings/sorting nonsense out til 5.45pm. The joys of work. I couldn't find the Yellow-browed Warbler late on, and I know that one birder had a search mid/late afternoon and couldn't find it either. No surprise to be honest, as past form over the last 8 years has made me conclude birds quickly pass through due to the marginal habitat. I've had Reed Warbler, Willow Warbler and a fair few Chiffchaffs over the years and I can't remember one hanging about long. Just shows that it is all about context, and it is the first Yellow-browed Warbler I've found away from what you'd describe as typical coastal locations. Where of course I've found a fair few over the years. But when you're a London birder on 70+ hours or work a week, you bloody punch the air when you get results like this. True urban birding - The Urban Birder would be proud. I agree Rich, work - especially in London where I expect the intensity is up a few notches - is a real bind. But snaffling something like this in the small windows that are sometimes available is pretty damn fantastic.